ACreativeDream June's been making tiny glitter houses and is giving one away! Cyndi has another delicious giveaway book: Shrink! Shrank! Shrunk! Cherie makes a small blue and green glass sculpture because she's obsessed and can't stop. Tammy tries out one of the Crochet Dude's new ergonomic crochet hooks as she makes a shawl using some luscious yarn. Check out some winter and Christmas craft projects at The Artful Crafter. 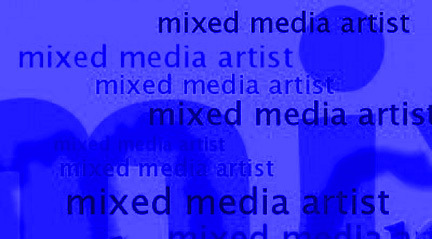 Mixed Media Artist for your Kindle! Happy Thanksgiving...or is it still Halloween?